This is my first try at making soap. It was kind of scary to me. Why? I guess using a chemical that you should wear goggles and gloves while using is the first and foremost reason. I even hesitated ordering lye when reading all the conditions to purchase from The Soap Dish. After reading many blogger sites I decided to dive right in. Please note that after the chemical reaction between the lye and other ingredients has taken place it is no longer in the form of lye. Why make soap in the first place? I wanted to use ingredients I could pronounce and know what is in the soap I used. I also wanted to spend less on a good quality soap. I am not sure I achieved that, read below on my cost breakdown. This soap can also be used as a body bar. 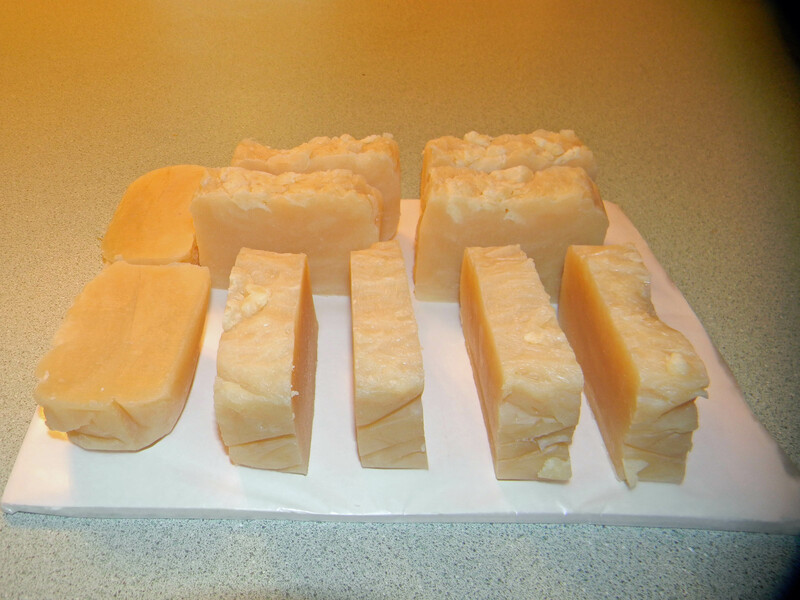 There are two types of soap making, cold process and hot process. I chose to make the hot process first as this method speeds up the end product. Cold process soap needs to cure for about 4 weeks before use. In my search for making soap I discovered the lye calculator which shows you how much lye to use based on the amount of your other products. I decided to use a recipe that had already been proven but, most blogs will tell you to check the lye calculator just to double-check the amount of lye you should use . Here is the recipe that I used from Frugally Sustainable . *Please note, all amounts are per weight. I measured out the lye and mixed everything outside then left it to cool while I measured and melted my other ingredients. Gotta love those purple gloves! These are the oils heating in the pan. The bee’s wax takes the longest to melt. It is helpful if you either grate it or cut it into small pieces. 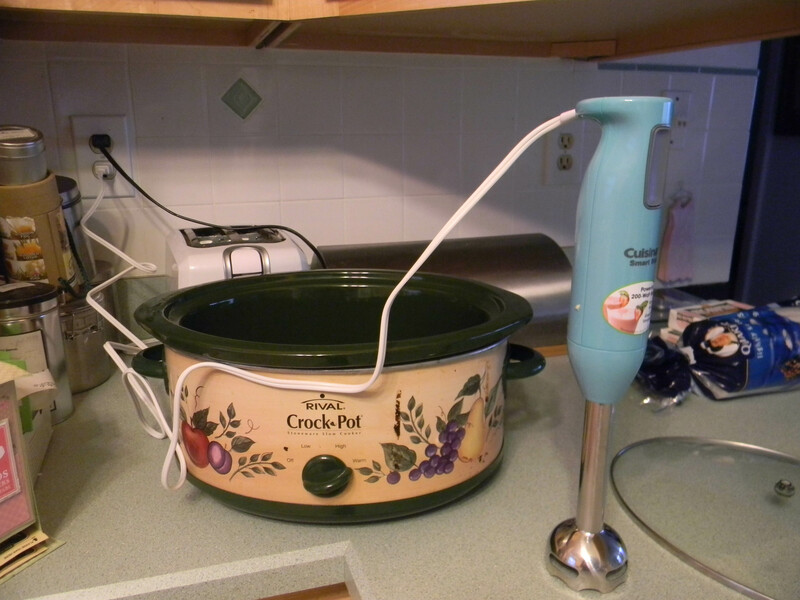 My crock pot and stick blender ready for use. I believe I left the lye mixture outside too long as it had begun to solidify but worked fine when I put it into the warm oils. Next time I will measure all my oils (this took a while) and then mix my lye outside. I put the oils and the lye into the crock pot and I mixed the soap until trace was achieved. I then cooked the soap for 1 hour. The recipe says it will be translucent. That does not mean it will be clear but it won’t look like pudding anymore. Mine did not “fold in on itself” so I cooked it a little longer. It never did achieve that stage, maybe because I used a larger crock pot. I then spooned it into my mold to set. I used a bread pan with waxed paper. After 24 hours I took the soap out of the mold and sliced it into 10 bars. They are aprox. 4.5 oz each. That comes out to $2.55 a bar with the cost I paid for supplies (see below). After making the soap I sat down to figure out my costs. Some sites quote the cost of a batch of soap around $10. I am not sure if they are figuring the shipping costs but I did. If you buy in bulk it will also be less expensive. Below are my cost break downs . I did not figure the cost of coconut milk into this as I didn’t have a cost on that yet. Note: You can not purchase Sodium Hydroxide from The Soap Dish without purchasing other items. You can purchase most of the butters from The Soap Dish but will have shipping costs. Sodium Hydroxide is about double the price if purchased on Amazon but there is no shipping charge. RESULTS: I now understand why making soap can become addictive. After seeing my first bars I am ready to try some more! Digital scale – I purchased mine at Wal-Mart. One that resets to O after putting a bowl on it is a must. Pitcher filled with soapy vinegar mixture (I filled my sink). Vinegar will neutralize lye. PLEASE shop around and get the best price. Shipping can be too high if you are just ordering a few ingredients from one place. I have found many helpful websites that you can read before you journey to soap making. Here are some books that you can also check out. 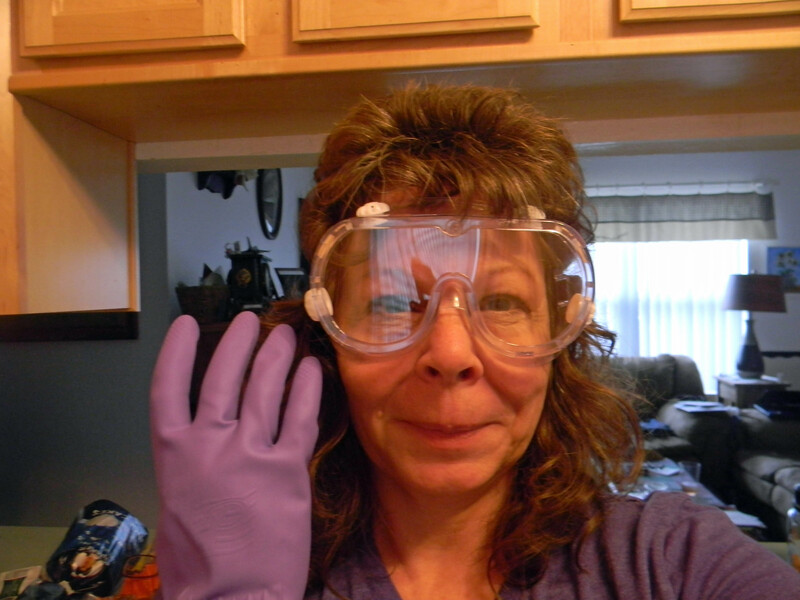 This entry was posted in Homemade products and tagged hair soap, homemade, Soap. Bookmark the permalink. Wow great! You really have that special talent in creating your homemade hair soap. I’m glad you’ve used shea butter and coconut oil. They’re also my favorite. However, you’ve mentioned that you used sodium hydroxide and I believe it is a strong chemical. Do you think it won’t react with your scalp or skin or might give you some sort of allergies? So how exactly does it work? If you had high school chemistry, you may remember that when you mix a base with an acid, you form a neutral. This is exactly what happens in the soap making reaction. 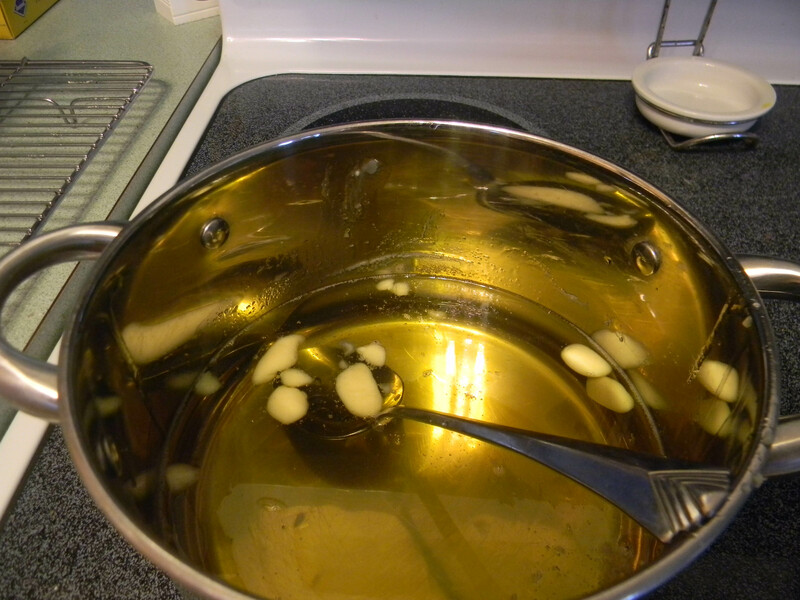 The base (lye) mixes with the acid (oil or fat) to form a neutral (the soap). I actually use this soap as a face soap and LOVE it.